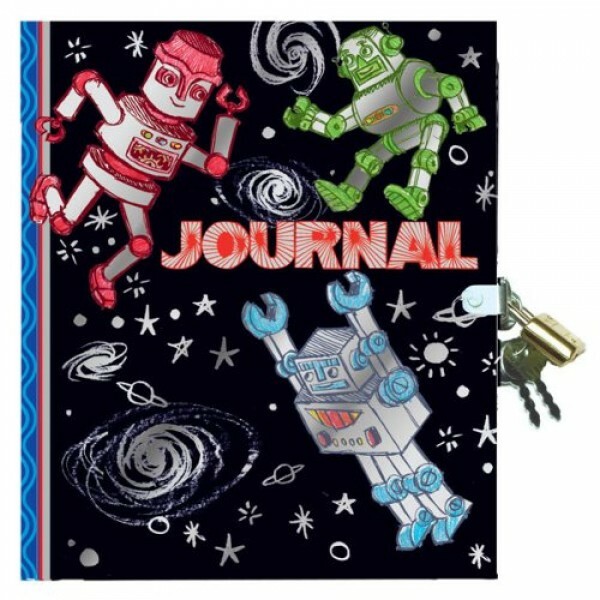 This great locking journal features a beautiful cover with silver metallic ink robots, drawn by Brandon Reese. It's 6.5 by 5.75 inches and has 200 pages. Journaling improves writing skills while young people puzzle out the ups and downs of growing up. Self-reflection is such an important part of self-actualization and a diary is a great place to begin. The locking feature of these diaries keeps each diarist's ideas safe from intruding eyes.